Fill the bottle 3/4 full with vegetable oil. Fill the rest of the bottle with water (almost to the top but not overflowing). 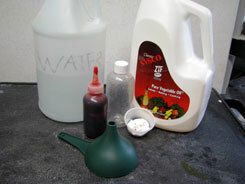 Add 4-5 drops of food coloring. Divide the Alka-Seltzer tablet into 4 pieces. 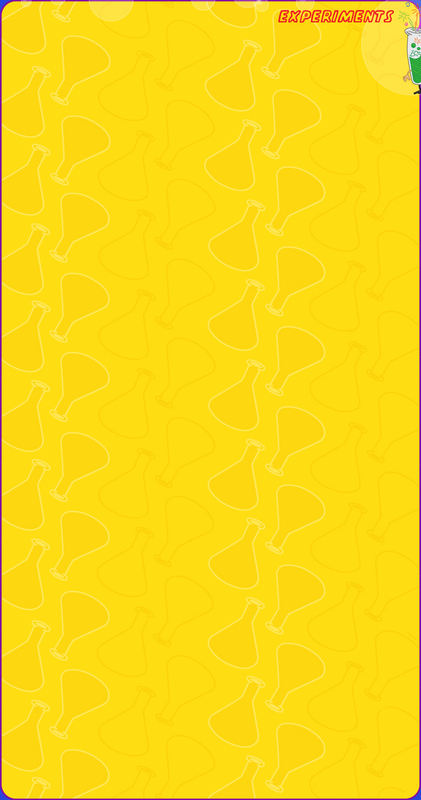 Drop one of the pieces of Alka-Seltzer into the oil and water mixture. Watch what happens. When the bubbling stops, add another quarter of Alka-Seltzer. When you have used all of the Alka-Seltzer and the bubbling has completely stopped, secure the bottle cap. Oil and water do not mix. 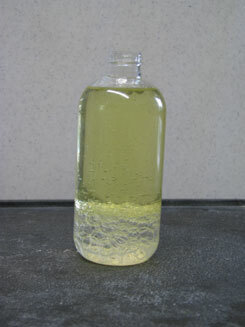 If you try to shake up the bottle, the oil breaks up into small little drops, but the oil does not mix with the water. 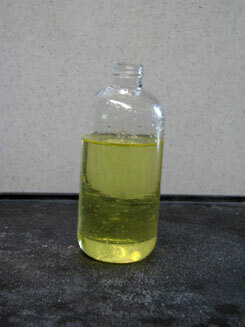 When you pour the water into the bottle with the oil, the water sinks to the bottom and the oil floats to the top. 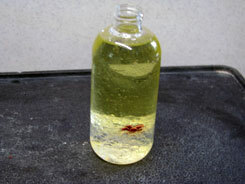 Oil floats on the surface because water is heavier than oil. Water is more dense than the oil. 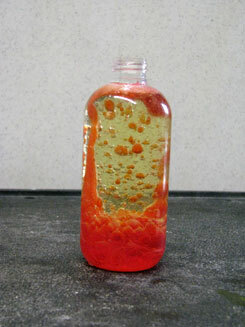 The Alka-Seltzer tablet reacts with the water to make carbon dioxide gas. These bubbles attach themselves to the colored water and cause them to float to the surface. When the bubbles pop, the color sinks back to the bottom of the bottle.